Nearly 100 people visited the Goochland Campus recently while attending the campus’ Open House during Community Night. During the event, attendees were able to take free one hour classes. 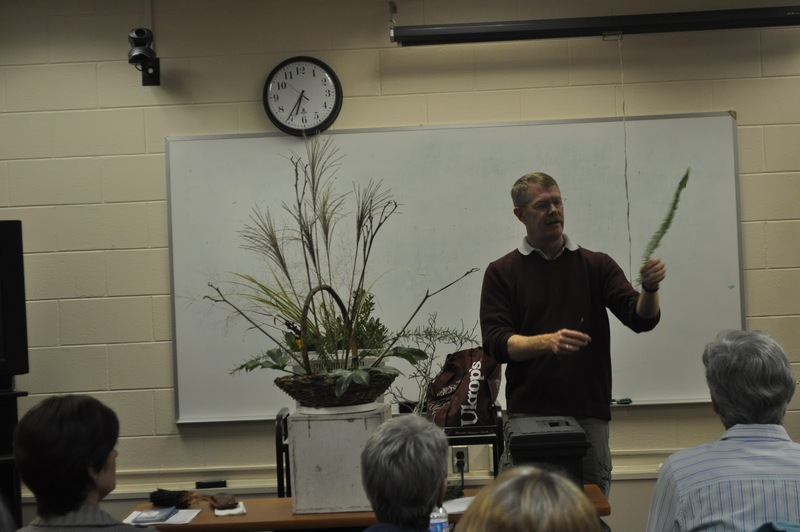 Some of the classes offered included, Small Business and Entrepreneurship, Emerging technologies – Hybrids and Electric Vehicles, Pathways for Education Careers, Fall Floral Design, Winter Storage for Your Lawn & Garden Equipment and Basic Spanish in 40 minutes. Along with free classes, the participants were able to apply to the College and register for Spring 2012 classes. The Virginia Community College System Chancellor Dr. Glenn DuBois visited Reynolds to discuss the progress of the VCCS Reengineering Task Force. The taskforce was created in Fall 2009 to advance Virginia’s community colleges beyond the status quo, to serve more students and to serve them better. While Virginia’s community colleges are experiencing unprecedented enrollment growth, state support is declining at equally unprecedented rates. 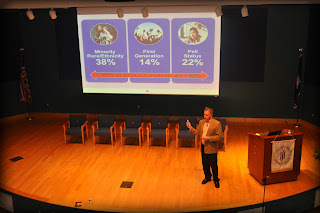 Dr. DuBois presented information outlining the need for reengineering efforts, including the call to save Virginia’s middle class and continue the mission of Virginia community colleges – to give everyone the opportunity to learn and develop the right skills so lives and communities are strengthened. In addition, reengineering efforts support Governor Bob McDonnell’s agenda for the Commonwealth to create a workforce with more postsecondary degrees. “I think we all agree that 12th grade is no longer an acceptable finish line,” Dr. DuBois said. Reynolds Vice President for Academic Affairs Dr. David Loope followed Dr. DuBois’ presentation with information about how Reynolds is already implementing some of the taskforce’s suggested changes. This includes new developmental math modules, designed to help students determine the exact amount of developmental and credit-level math they need for their degrees. This new process will help students move through developmental courses quickly and successfully (read more about this at www.reynolds.edu/math). 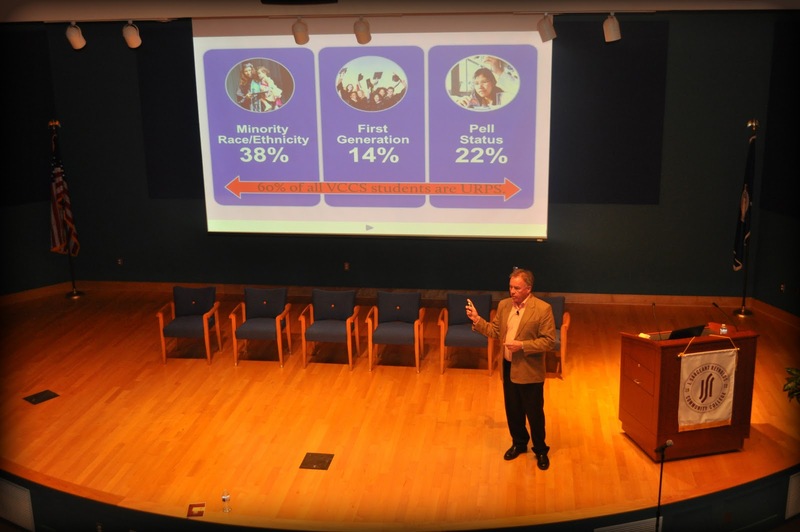 He also discussed recent solutions that have impacted student enrollment and retention, as well as the College’s ability to foster a culture of high performance. Now in its second phase, the taskforce is focused on implementing the ideas articulated in its Fall 2010 report to the State Board for Community Colleges. 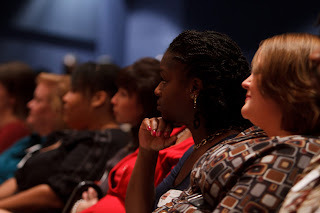 Visit rethink.vccs.edu to learn more about the focus of the VCCS Reengineering Task Force. Reynolds inducted more than 60 students into the Alpha Iota Beta and the Alpha Gamma Omicron chapters of the Phi Theta Kappa Honor Society. Phi Theta Kappa is the international honor society for two-year colleges. It recognizes and encourages the academic achievement of two-year college students and provides opportunities for individual growth and development. Ms. Barbara H. Wolf, program officer at the Edmund A. Walsh School of Foreign Service at Georgetown University, served as the ceremony’s keynote speaker. She spoke about leadership and the call to do more. Phi Theta Kappa members have a strong presence on Reynolds’ campuses and throughout the community. Members have a commitment to service, leadership, fellowship and scholarship. 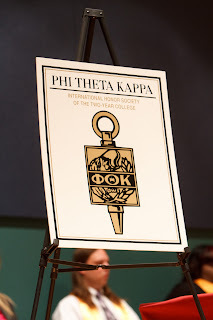 Today, Phi Theta Kappa is the largest honor society in American higher education, with more than 1.3 million members and 1,200 chapters in the United States, U.S. territories, Canada and Germany.